3 hungry boys?……check, check & check! All the makings for a great after school snack! 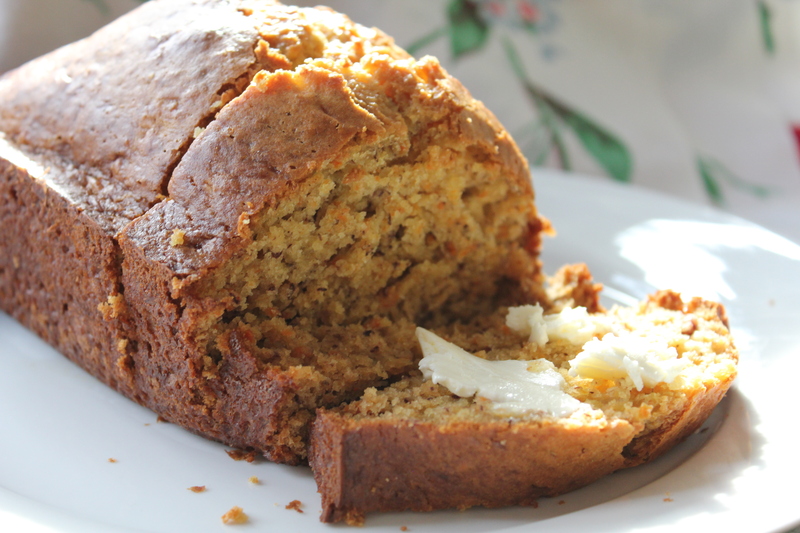 I’m always trying out new banana bread recipes and this one is made with lots of grated carrots…sneaking in those veggies anywhere I can! I had this ready for the boys after school today and the entire loaf is almost gone! 1. Sift all dry ingredients except sugar. 2. Combine bananas, sugar, oil, eggs, almond extract and sour cream; add to dry mixture. 4. Spread in greased loaf pan *use Large loaf pan or 2 small loaf pans, as this makes quite a bit of batter! 5. Bake for 50 minutes or until toothpick comes out clean! Serve warm with butter, and listen to the ‘quiet bliss’ as your little ones gobble this up!